All hail, Prince George! The three-year-old king-in-training proved he is all of us on a Monday when he pressed his face against a window, and we can’t get enough of him. 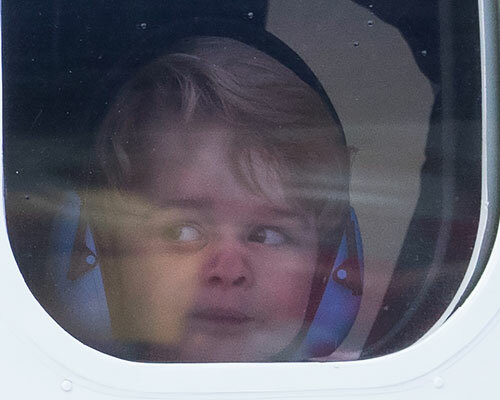 During the Royal Family’s trip to Canada this past week, there were a lot of memorable moments, but our favorite one includes Prince George of Cambridge and an airplane window. 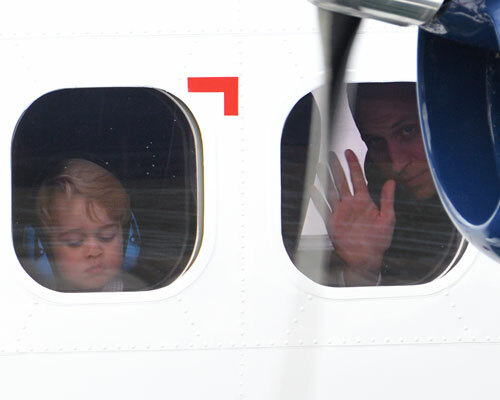 On Saturday, Prince George was captured leaving Victoria, Canada with Prince William sitting behind him, and the shots of him through the sea plane window are proof that Prince George is just like us! 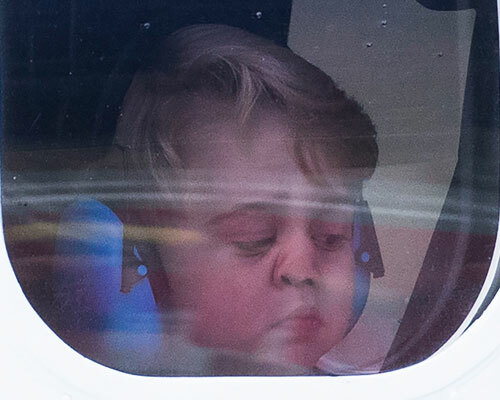 Sure, life as a Royal seems glamorous, but Prince George’s sassy face as he pressed his nose up against the plane window, rocking blue, noise-canceling headphones really is SO relatable. We see that side-eye, George and we totally get it, Mondays are the worst! 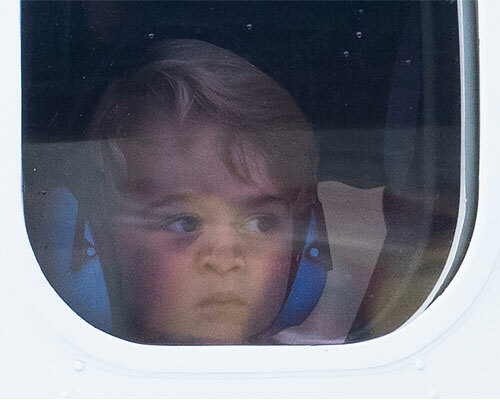 Clearly, Prince George is NOT impressed. We wonder what he’s looking at? Maybe the slew of Canadians waving at him from his fancy sea plane? While the adorable Prince proved he is definitely all of us, struggling through Mondays in these photos, he still looked so cute. Come on, what’s not to love about this little Prince? He’s SO freaking cute! Fingers crossed someone makes a hilarious meme using Prince George’s unimpressed, goofy faces ASAP.